Research suggests that Francesco Gobetti may have learned the craft of violin making at home. After arriving in Venice in 1699, Gobetti got work as a shoemaker and continued to work in that capacity, and there is no evidence that he was employed at any of the important violin shops in Venice. His earliest known instrument is from 1705 and he probably continued to work until 1720 despite a sharp drop-off ...Read More in 1717 due to illness. 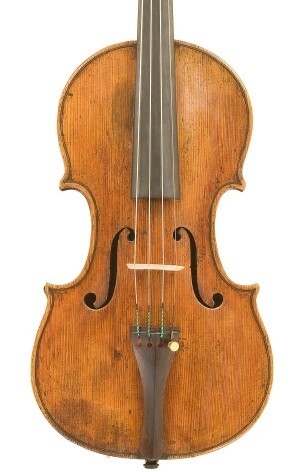 - The auction record for this maker is $103,533 in Mar 1995, for a violin.